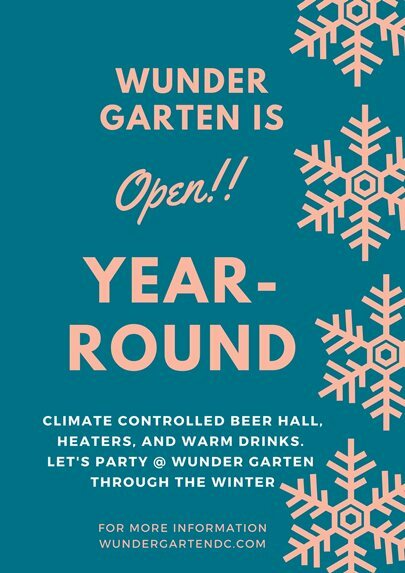 Expanding on the tradition of annual Oktoberfest and Fruhlingsfest celebrations, Wunder Garten is excited to announce the premiere of Winterfest. 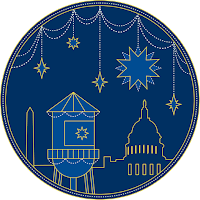 Beginning December 1 and continuing through December 17, Wunder Garten, in collaboration with the NoMa BID, will transform into a winter wonderland, festooned with decorations and decked in holiday lights. 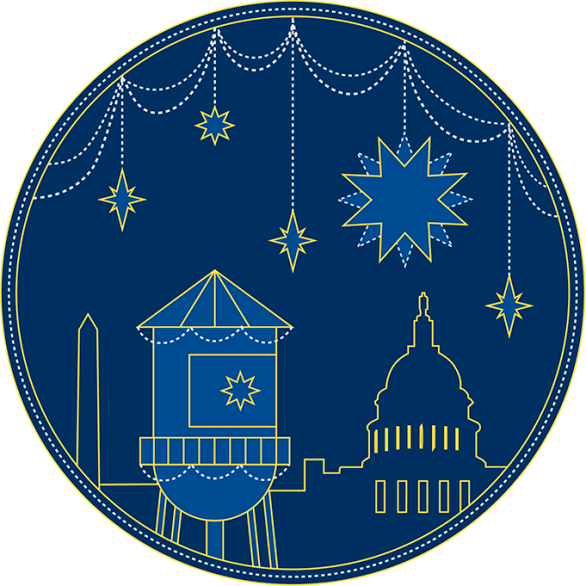 Winterfest will include a makers market featuring Made In DC vendors, art installations, and a Christmas tree lot with local food vendors, live music, warm cocktails, and more. Thursdays through Sundays, the holiday market will feature a rotating lineup of local artists and vendors. Wunder Garten will be the place to shop for gifts from area artisans selling artwork, apparel, greeting cards, and more. The Christmas tree lot at Wunder Garten will sell mostly Frasier Firs, ranging from four to ten feet tall. Holiday helpers will be on hand to bundle and tie trees for easy transport. 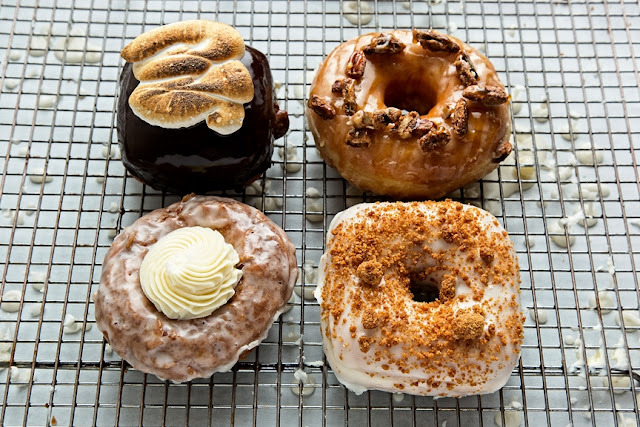 Under twinkling lights and LED snowflakes, guests will enjoy live music while munching on fare from one of Bon Appetit’s best new restaurants, Timber Pizza, Holy Crêpes food truck, and cult favorite CaliBurger, and sipping hot cocoa and from Peet’s Coffee. 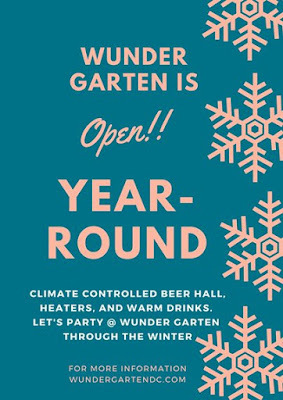 Wunder Garten will offer winter beers, mulled wine, and spiked hot chocolate. 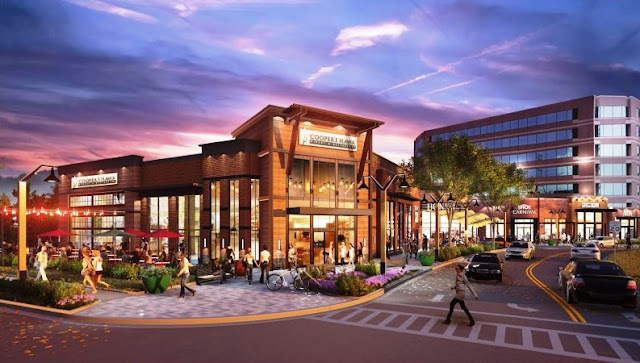 Revelers can gather around the fire pit to savor hot toddies, roast marshmallows for s’mores, and snuggle in blankets. In addition to holiday provisions, Wunder Garten will be home to a holiday inspired art piece by local artist Hernan Gigena. The interactive installation will be the centerpiece of Winterfest. Always a dog-friendly establishment, Wunder Garten will offer photo ops with Santa for all the beer garden’s furry friends. No prior ticket purchase required.